Pirate Adventures 2 is an Android Game filed under the “Casual” category of Google Play, but it would fit just as well under Brain & Puzzle. Many of you might remember the era of the point and click adventure that flourished for a brief time on the PC in the late 90’s and early 2000’s. If so, prepare yourself for a puzzle adventure filled with nostalgia of Man O’ War proportions. 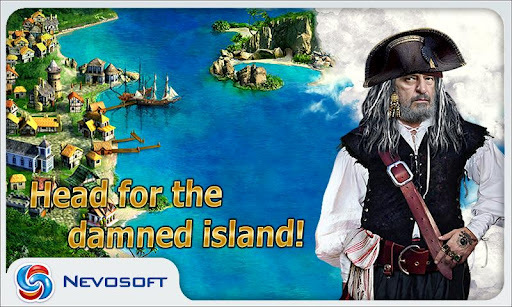 Pirate Adventures 2, by developer Nevosoft, takes you on a swashbuckling adventure, which may or may not be directed by a great plot. That’s because after the first few hundred screens of one sentence dialogue you will likely find yourself tapping the screen as fast as possible to get on to the next puzzle. Sure, you could read through every line of dialogue, filled with mystery and pirate speak, but it doesn’t affect your ability to complete the puzzles or the game. There are a few instances where knowing the plot can help you complete a puzzle faster, but it’s never required. 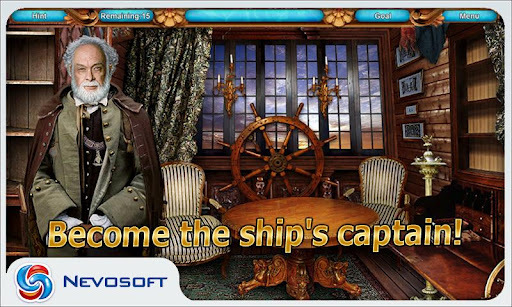 Pirate Adventures 2 (or Pirateville 2, or Pirates 2), is primarily a hidden object game, tasking you with the responsibility of completing a series of mini-games in order to complete a quest. The game is broken into 18 chapters, with five mini-games per chapter. However, to complete chapter three you must promote the developer on either Facebook or Twitter. After you complete chapter three you are asked to purchase the full version of the game, which comes in at $2.99. 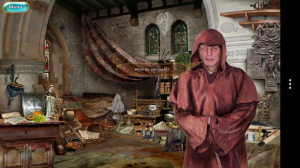 In the mini-games you will find yourself searching for hidden objects, matching pairs, solving word puzzles, and a variety of other standard point and click games. In some of the games you can zoom and pan, making some of the puzzles easier to handle, especially when looking for smaller objects. Most of the games are very entertaining and fun to complete. You may experience some long load times between the dialogue and the start of the puzzle, and we did experience a few crashes mid-game. You may also find yourself incredibly frustrated during some oft the mini-games, and not always because the puzzle is difficult. Sometimes the items are small and difficult to touch, and if you touch off the object too often the game assumes you are randomly touching and deducts you time for the game, which can become frustrating. The graphics and sound in Pirate Adventures 2 are familiar for this style of game, and all of the images are colorful and fun. 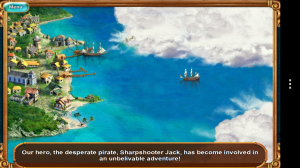 The screens are generally responsive, and the mood of the game has a distinct pirate theme. Overall the game is fun and easy to pick up, and you can complete a puzzle in less than a minute, making it a great game to pick up while you wait in line or between events. Pirate Adventure 2 is available now on Google Play. The game is available for Android 2.2 and up. A small expedite fee was paid by the developer to speed up the publication of this Android game review.